The summer of 2012 could very well be known as Wildfire Summer. 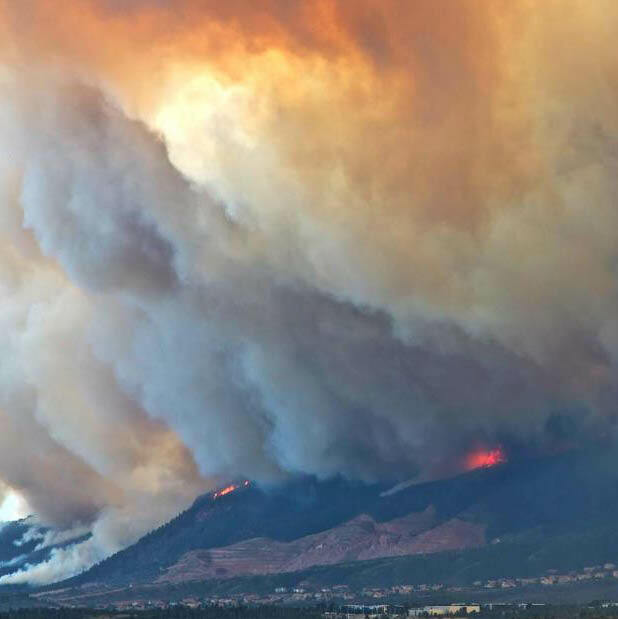 June has brought record high temperatures and more wildfires than ever before. Colorado Springs lost at least 350 homes in one neighborhood. At least one fire fighting plane has crashed killing most of the people on board. Tens of thousands of acres have been burned. Whole forests and wilderness areas close to being wiped out. It is such an awful situation. Rain seems to only exist in the areas that need it the least…like Florida. Each day I pray for rain for the areas that need it so badly, and for comfort for those who have lost so much. If the summer of 2012 is Wildfire Summer, then 2009 would have to be known as Pine Beetle Summer. So many trees were lost on mountains, forests, and wilderness areas. As a hiker, the loss felt devastating to me. 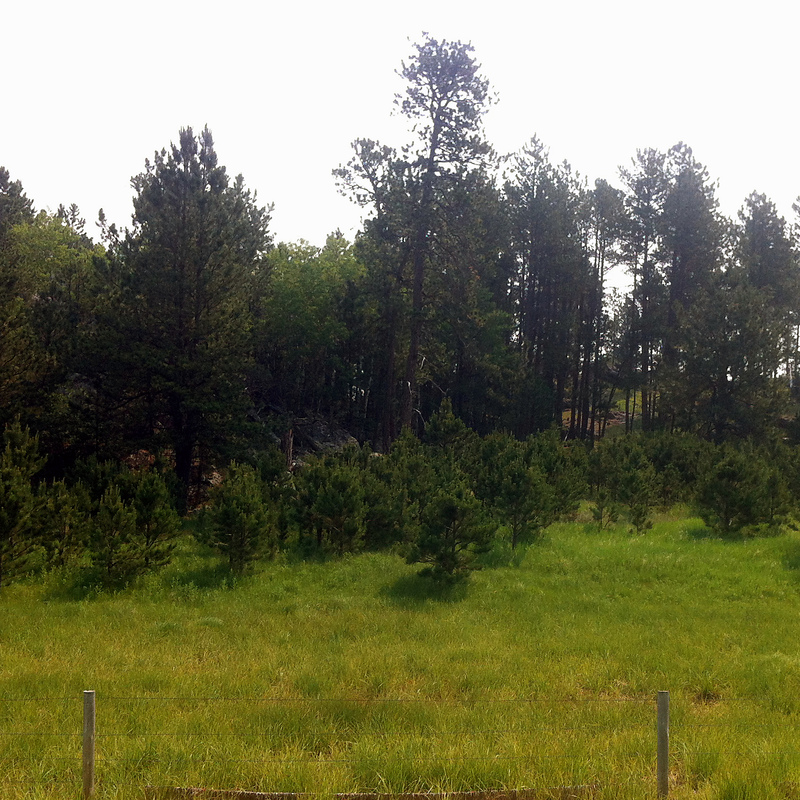 The beauty of the Black Hills that I love looks so scarred, and it makes me feel so very sad. It is hard to look at the dead trees when we were on the trails, without feeling the loss very deeply. Our annual hike to Harney Peak, though we will not be able to take it this year due to a lack of time to prepare, takes us right through the Black Elk Wilderness Area. 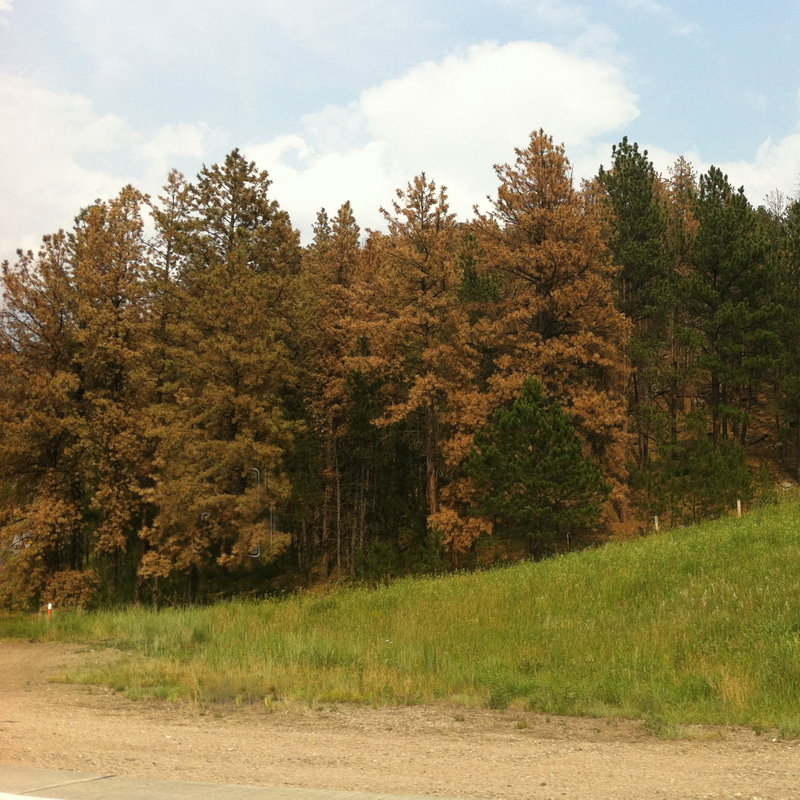 I’m told that virtually all the trees in there have been killed by the Pine Beetles, and that makes my stomach churn. It is such a beautiful place…or was. What will it look like the next time I see it. Then today, when we were on our hike, I saw something that made me realize that all is not lost. There in front of a stand of large trees was a row of smaller trees…the next generation of trees. It occurred to me that every year the pine trees drop their seeds as the pine cones mature. Those seeds fall to the ground, and somehow manage to get started in the process of growing a new tree. As each tree drops hundreds of new seeds every year, and those seeds form hundreds of new trees, the next generation of trees is born. Looking around, I began to notice several different years of new trees that were different heights now. There were 4 or 5 different years worth of new growth that were visible along the sides of the road and trails. The forests are the same, of course. All around the downed and brown trees there is new growth. Yes it will take years to regrow it all, but it will return. Of that I have no doubt, because I have seen the hope of the next generation.